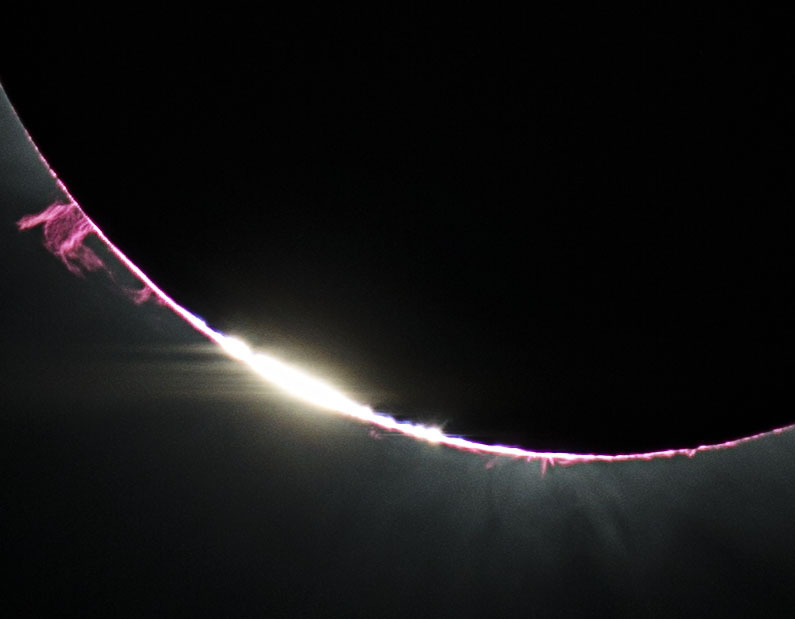 Finally the wait is over and the rigorous mathematical processing of the data from the last Solar Eclipse in Indonesia is finished and here are the results! 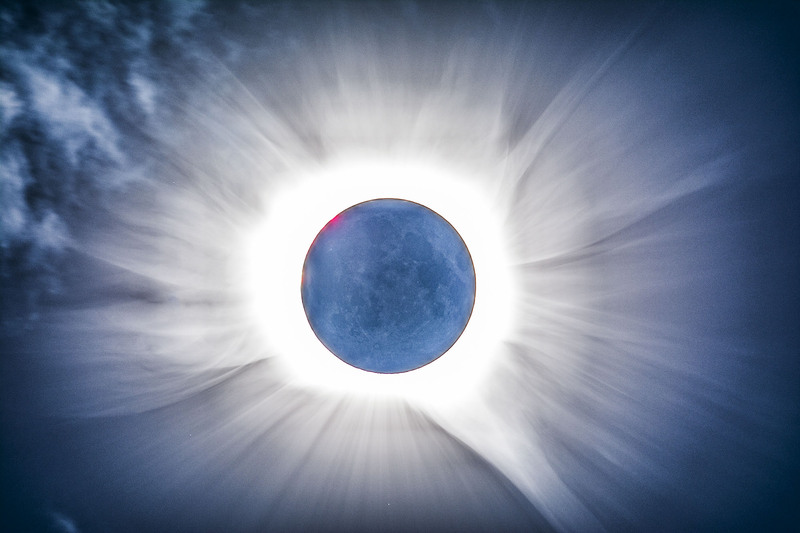 For these images to be possible, it takes a huge effort both for the capturing process and later of the processing of the huge dynamic range in brightness of the solar corona. I collaborate with professor Dr. Miloslav Druckmuller from the university of Brno who is a mathematician and a world expert in processing images from the solar corona during a total solar eclipse. To make the data, I used two telescopes placed on an equatorial mount and carried from Thessaloniki Greece to Tidore Indonesia. I was travelling alone and had to carry the equipment also that weighted more than 55 kilogramms. All the cameras were automatically controlled by Xavier Jubier’s software named Solar Eclipse Maestro with scripts tailored for each camera separately, this way I don’t have to do anything during the totality and just enjoy the view but also capture much more data with overall higher quality. I must note that I’m an amateur astronomer and a volunteer so all the expenses for my expeditions in solar eclipses are covered by my salary. This totality was the 9th for me and I had a great opportunity to view a great spectacle of a very beautiful Solar Corona! 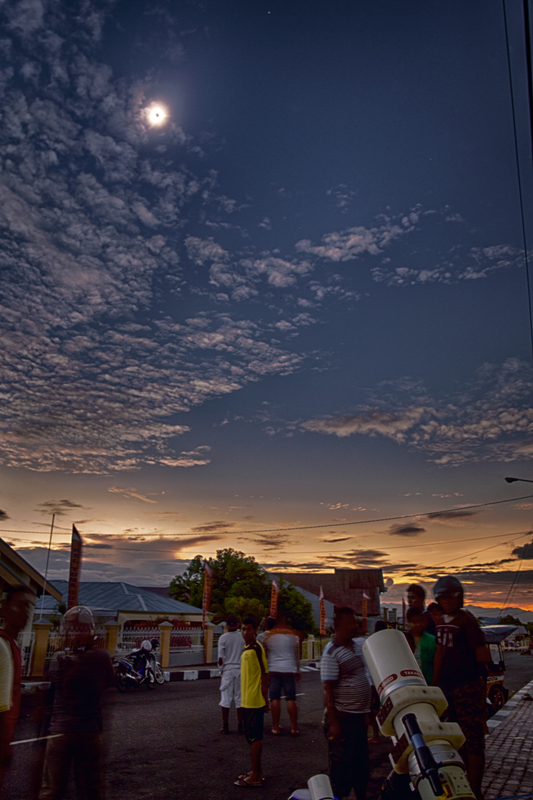 Below you can see some pictures from my trip and the end results which are beyond my imagination! The weather is always a big unknown factor and can turn bad in a moment during the totality, however I was lucky enough to have a clear view of the sky so this image is available! Look how many stars are recorded! 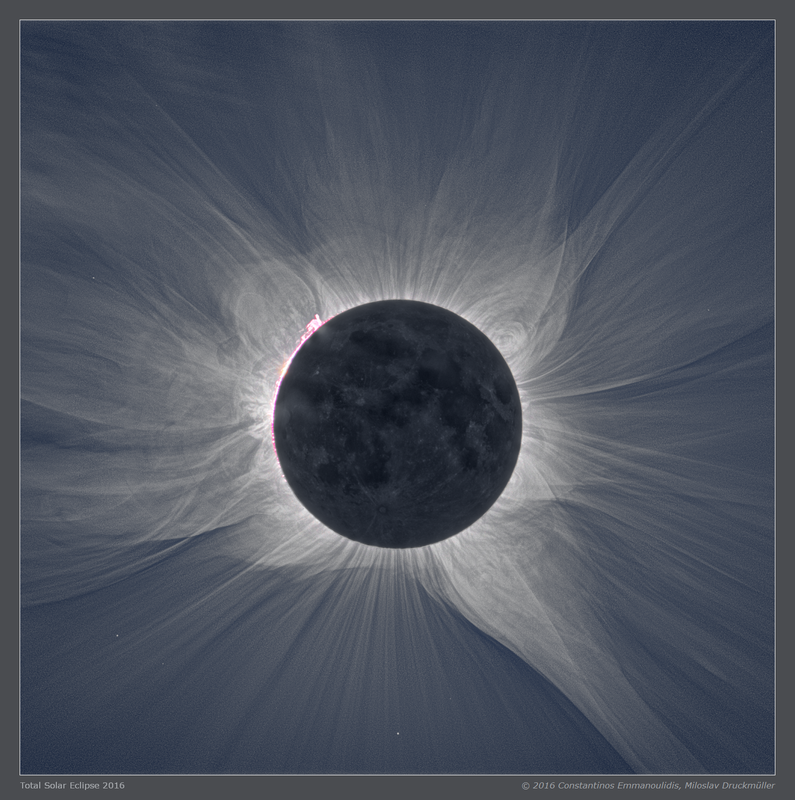 Here is a high contrast version of the Solar Corona that shows some remarkable features of the Sun’s magnetic field and its plasma moving into space. The spectrograph of the Corona, showed intense activity regording the FeXIV line that shows a possible temperature of more than 2 million degrees! 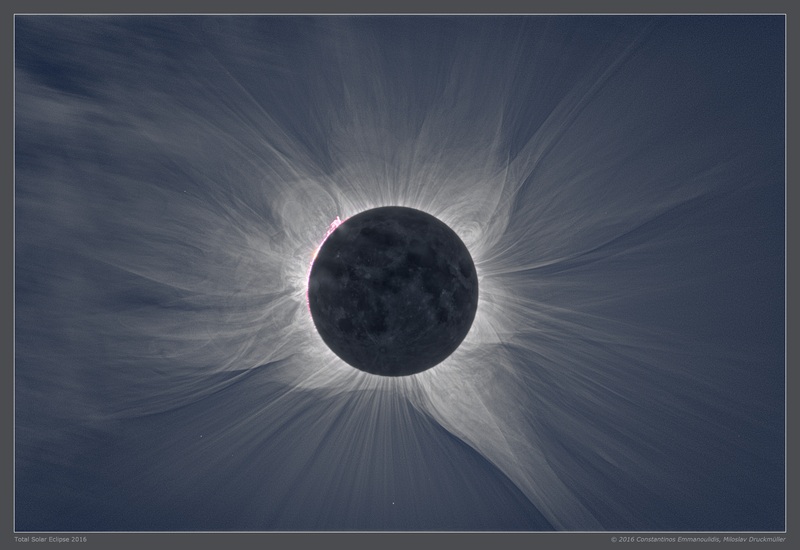 High contrast version of the Sun’s Corona with many features shown. Another image from the spectrograph that shows the rare flash spectrum from the Chromosphere of the Sun and a green circle that “sits” on the FeXIV line that shows the intense activity still happening! Flash Spectrum and the FeXIV line in one image! This solar eclipse was a great experience viewed with many friends I’ve met over the years of travelling around the world to see this magnificent event! I really hope that the viewers of these images can enjoy them as much as we do and somehow trigger themselves to think a trip for the next Totallity which will occur in the U.S. in August 2017. I’m still travelling in China after a successful solar eclipse expedition in Indonesia. It was a very good experience for me and I had to opportunity to visit Mt. Bromo as well. Here are some images from the eclipse. This is the view of the totality from Tidore Indonesia and the solar corona apears as a big Eye in The sky! Today with modern camera technology, we can capture the majestic Solar Corona and the Earthshine in the Moon at the same time! The upcoming days I’ll be posting more from the unique experience I had in both countries.